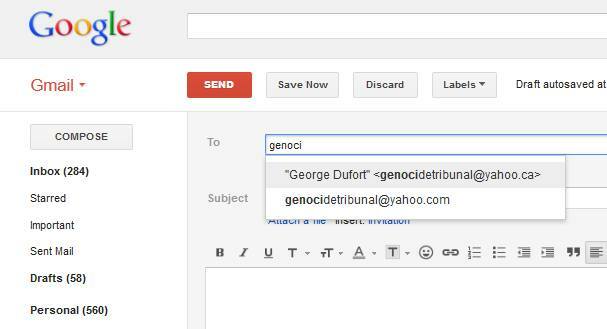 Why does the identity of George Dufort matter? The above image is but a sample of the fraudulent documents created by Kevin Annett. To believe that these 'arrest warrants' and 'public notices' bear any legal weight is akin to believing in Santa Claus. It is a nice fantasy to think that the papers that Steve Finney, Amy Smart, David Compan, Rhainne Baines, and others presented to various authorities were in fact authentic let alone legal. It would be pleasant to believe that there was a court at Brussels, that a jury of 50 plus men and women sat in that court and deliberated over thousands of documents and video testimony, and unanimously rendered a verdict of GUILTY! The truth is that there is not court in Brussels or anywhere else for that matter that bears the name ITCCS. In fact, Brussels as a country does not recognize Common-Law jurisdiction. 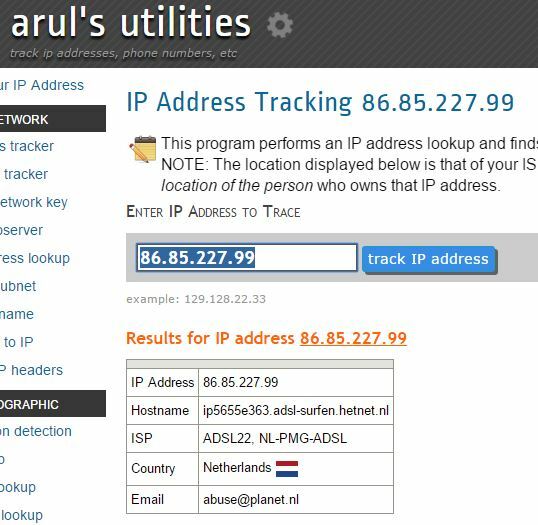 The 'court' called the International Common Law Court of Justice was briefly a blog site owned and operated by Rainbow Warrior (aka. Joshua Lemmens) out of Hope, British Columbia. The ITCCS Tribunal itself was a few people watching some videos (that loosely constituted 'evidence') on their computers at home and delivering a verdict of guilty in less than a week. No 'jurors' were sworn in, no witnesses testified or were questioned, and no defense lawyers appeared to rebutt the charges. Only Kevin Annett's say so that any kind of 'due process' actually occurred. And what of the notorious George Dufort? Sometimes listed as an LLB and sometimes clerk and secretary of the 'court'? As Kevin Annett admits above, this person is a fiction and therefore the documents bearing his name are also a fiction. Could you imagine the kind of legal system that allows forged and false signatures on arrest warrants? It's a joke that Kevin Annett is playing on you. 260 Kennedy Street, Nanaimo British Columbia just happens to be the address of both Kevin Annett and Lori O'Rorke (who is Kevin Annett's common-law 'wife'). Jeremiah is a pseudonym for a 74 year old Cree elder in Manitoba. A close friend. His associate Louis Daniels, my adopted Anishinabe father who gave me the name Eagle Strong Voice, was killed in hospital a few years ago and Jeremiah has been careful ever since." "LOUIS DAVID DANIELS Louis David Daniels, born February 7, 1934, son of David Daniels and Edith Yellowquill, passed away May 16, 2010 at Victoria General Hospital with family by his side after a long illness at the age of 76. Louis, former Chief of Long Plain First Nation and a proud member of the International Brotherhood of Boilermakers, Iron Ship Builders, Blacksmiths, Forgers and Helpers Local 0555, was predeceased by parents, David and Edith, grandparents Mary (nee Pashe) and Joe Yellowquill, adopted sister Stella Smoke (nee Yellowquill), grandson, Nathan Aaron Starr, and son-in-law Lawrence Whitehead." 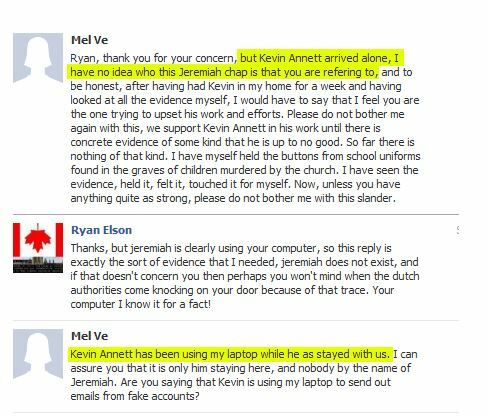 Ryan Elson (Dissembling.org) once sent an email to Jeremiah Jourdain who was purportedly in Holland on September 14, 2012 and staying at Mel and Richard Ve's house with Kevin Annett. 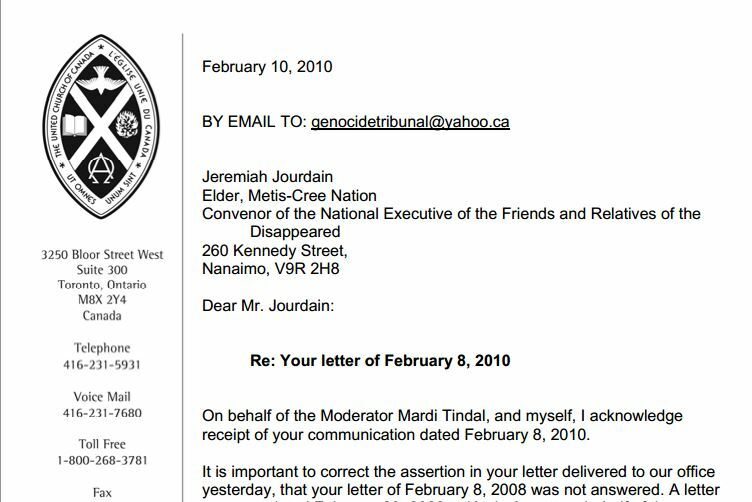 Ryan discovered that the Email came from genocidetribunal@yahoo.ca, and originated from Holland, but that Mel Ve vehemently denied that anyone named Jeremiah Jourdain was staying with them. 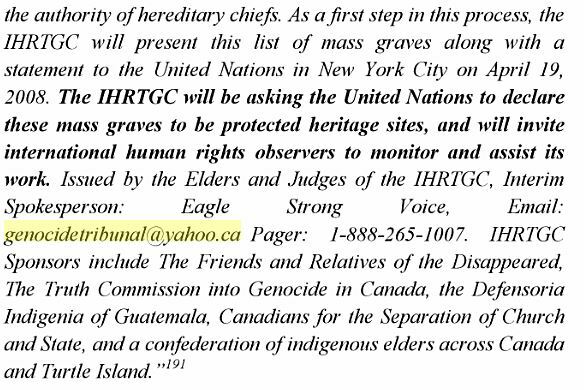 Is it possible that one person (Kevin Annett) has had access to the genocidetribunal@yahoo.ca email all these years and has simply changed the name as he has changed the 'pseudonym-people' he claims are working for the ITCCS and it's progenitor; The Friends and Relatives of the Dissappeared? 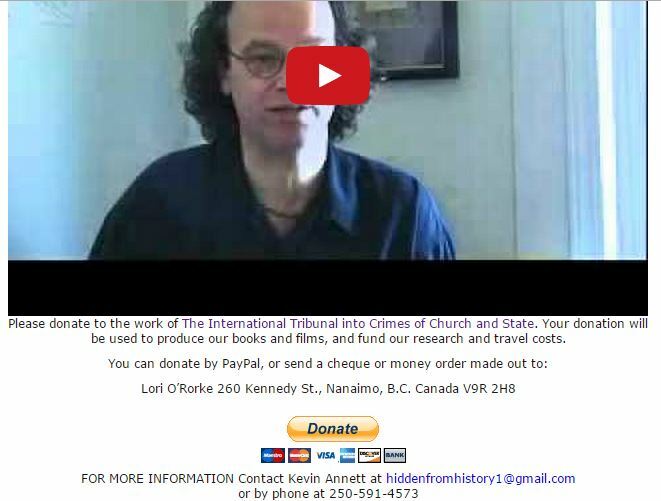 It means that Kevin Annett has been using genocidetribunal@yahoo.ca with pseudonyms like George Dufort, and Jeremiah Jourdain and Chief Louis Daniels (who is unlikely to be the real author of either the letter to the United Church or to Camilla Novelli) in an effort to build credibility where it stands on shaky ground. It means that those who have 'served' documents bearing the name of George Dufort have committed fraud and it means that Kevin is the author and promoter of that fraud. Steve Finney, a supporter of ITCCS, got arrested and nearly got himself shot for using these documents. Amy Smart nearly lost her daughter to Child Protective Services for good using these documents. David Compan 'served' his documents to the staff and doctors at the hospital he was employed and was sent for a mental health assessment. Rhianne Baines got her front door kicked in by Police and her children frightened after serving Coventry Police with their 'Public Notices' signed by George Dufort. Would you risk getting shot or imprisoned for being in possession of a forgery?